We specialise in high-end furniture deliveries with a white-glove service. We are particularly adept at ‘awkward access’ deliveries and installations, but also assembly and fitting works. We deliver specialised pieces of furniture that require extra know-how and skill – what we call ‘furniture problem solving’. We work directly with several furniture designers and retailers, such as Ligne Roset, Heals and Camerich. We offer a flexible and comprehensive delivery service – combining efficiency and skill to achieve a high level of customer satisfaction. Atlas install fitted wardrobes. Its all part of the service! Robert Hasty of Ligne Roset tells us why he uses Atlas of London for all his fine furniture logistics. Rowen Meehan of Camerich, on why they choose to use Atlas of London for all their storage, delivery and installation needs. Careful, efficient and reliable! 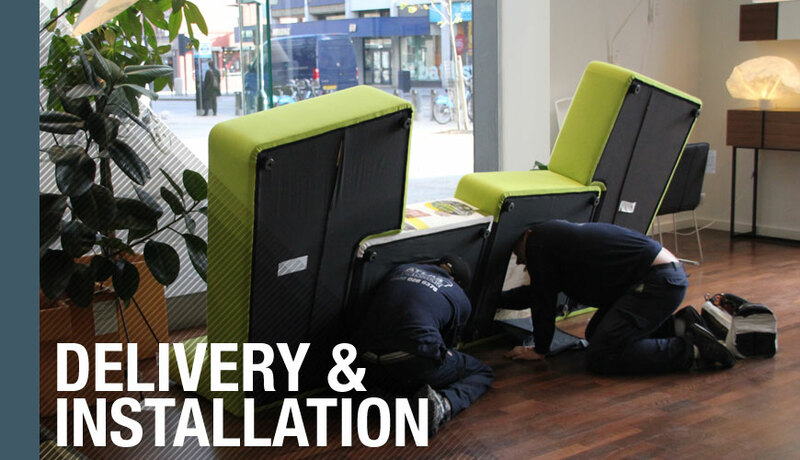 Speak to Atlas about your delivery and installation needs.